According to the AP, several thousand Orthodox Christian fundamentalists marched through central Athens to protest a government plan to issue new electronic ID cards they say would include the number 666, or the "number of the beast," hidden in a design. 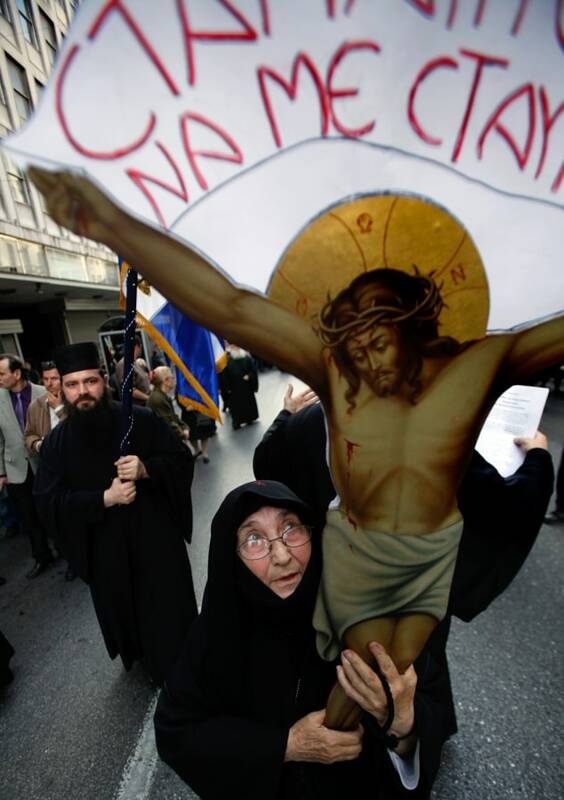 A Greek Orthodox nun holds a cutout of Christ on the Cross during a rally against proposed new ID cards in Athens on Sunday, March 27 2011. 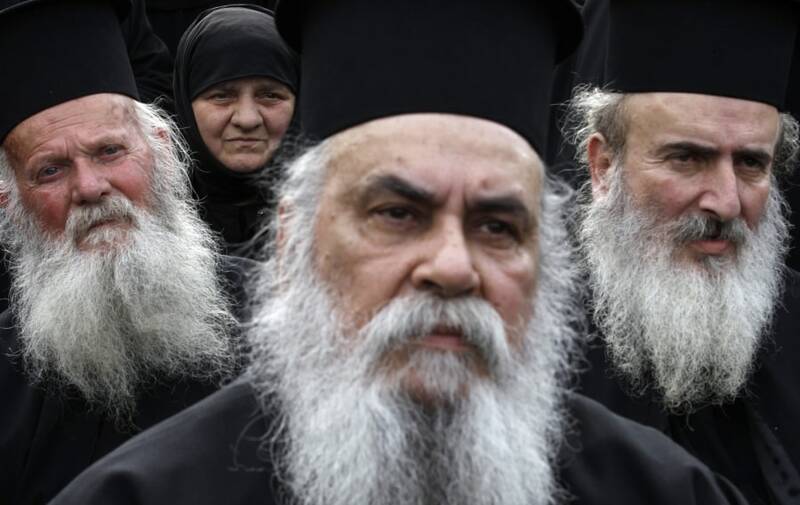 Greek orthodox priests and nuns attend a rally in Athens, March 27, 2011. A Greek Orthodox nun prays using prayer beads during a rally against proposed new ID cards in Athens on Sunday, March 27 2011. 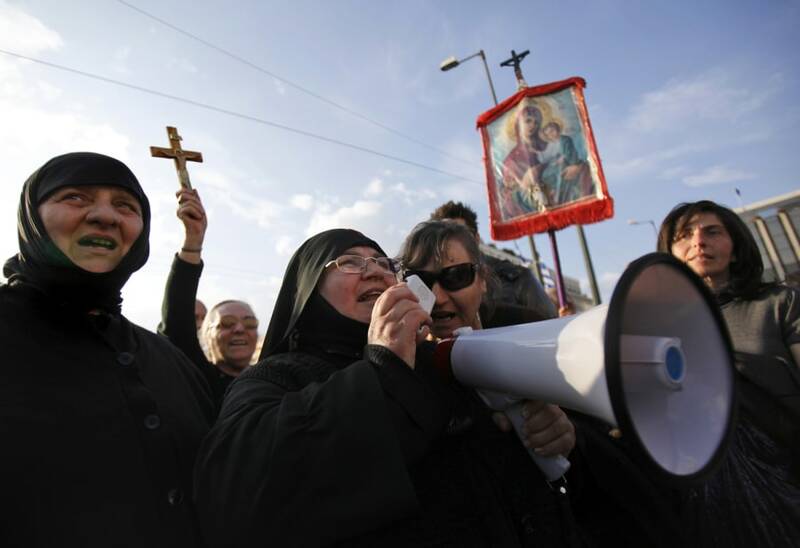 Greek Orthodox nuns use a loudspeaker to shout slogans during a rally against proposed new ID cards in Athens on Sunday, March 27 2011.